Your space is a reflection of yourself; it will never be finished or perfect. Like you, it will always be a work in progress. With that said, let's start with vases. Good vases are stylish enough to stand alone. Or add flowers for an instant centerpiece. 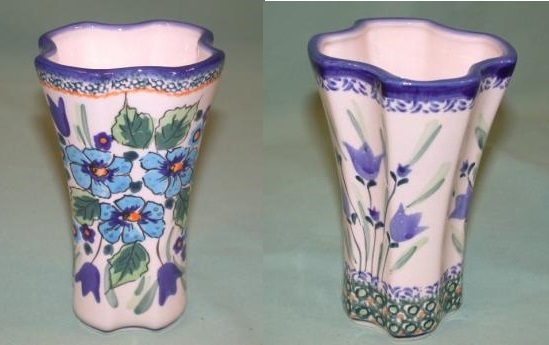 This vase is has all the characteristics of a good vase - its scalloped sides, its clean, clear colors and the typical Polish pattern that speaks of elegance louder than words. Measures 4" x 5 1/2", Lead and cadmium free.